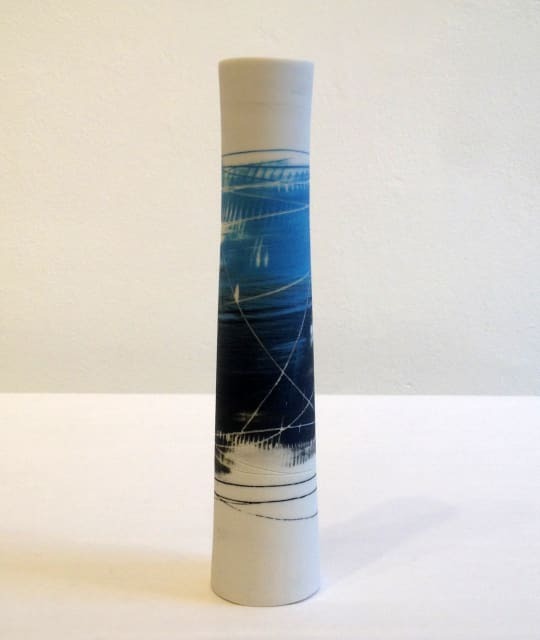 Ali Tomlin’s fascination with line and how it communicates energy is a constant theme in her work. She is drawn towards the random – lines in a sketch, a mark, peeling paint or on a found beach pebbles. In her hand these seemingly simple statements become powerful, changing the dynamic of a piece, through gesture and colour.